Turn mealtime into a delicious feast with the Fancy Feast Creamy Delights Tuna Feast in a Creamy Sauce Canned Cat Food. 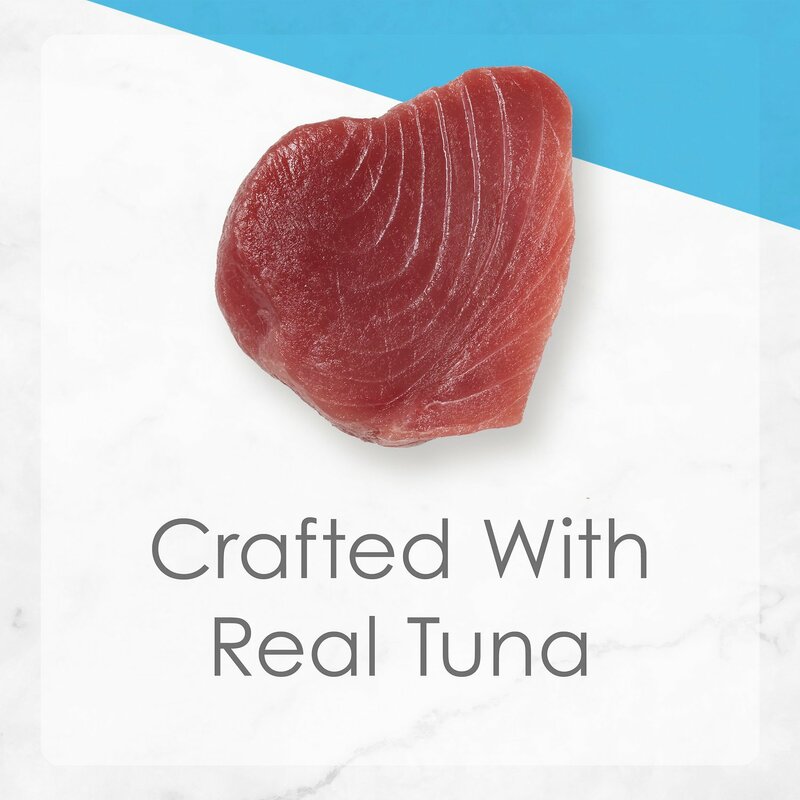 Made with real tuna and fish broth, it provides wholesome protein to support lean muscle. 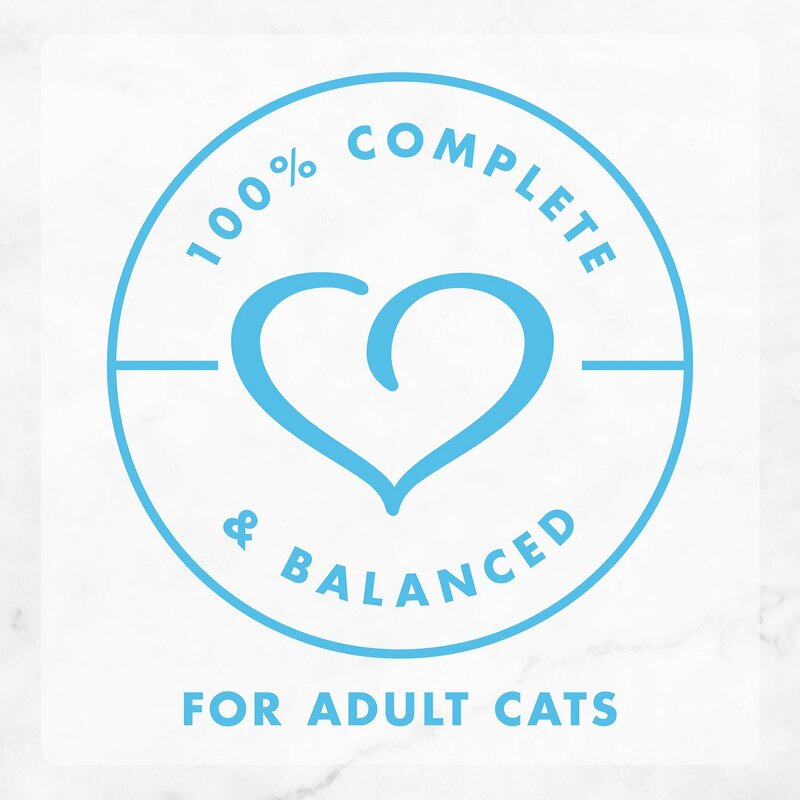 With added vitamins and minerals, plus essential taurine, it makes for a complete meal on its own or as a nutritious topper for your pal’s dry food. 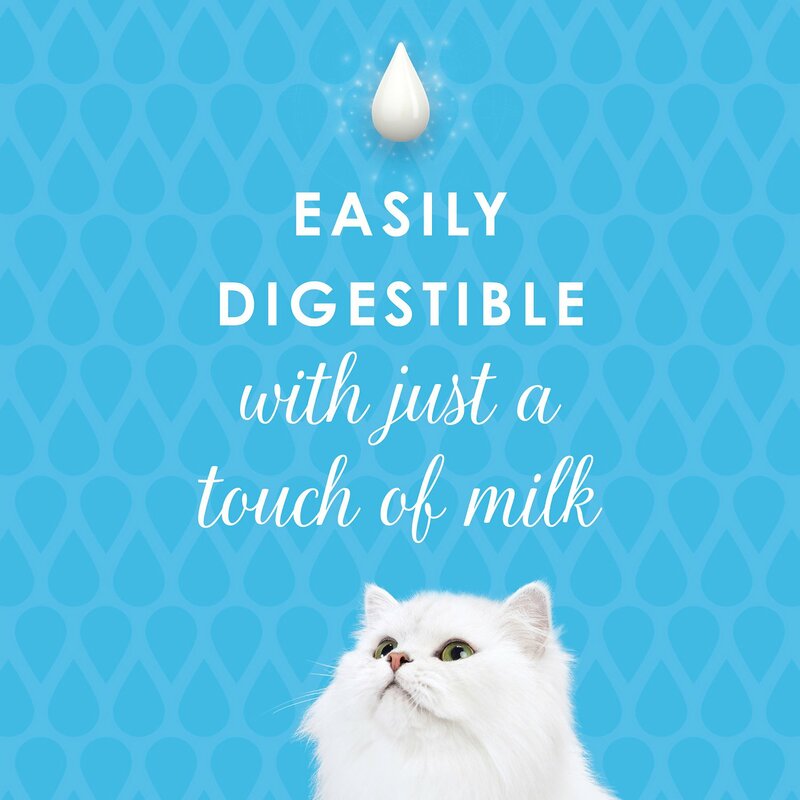 Plus, it’s made with a touch of real milk for a deliciously creamy flavor that cats find irresistible. Your pal will love the slow-cooked, meaty cuts, and the broth is a great way to add much needed hydration to your cat’s diet. 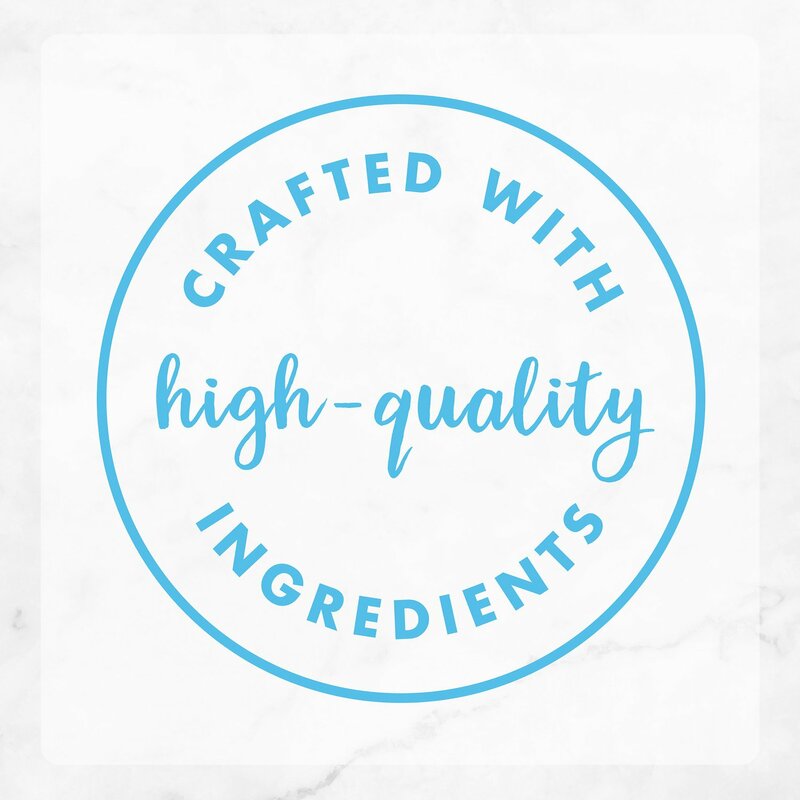 Made with real tuna in slow-cooked meaty cuts and delicious fish broth. 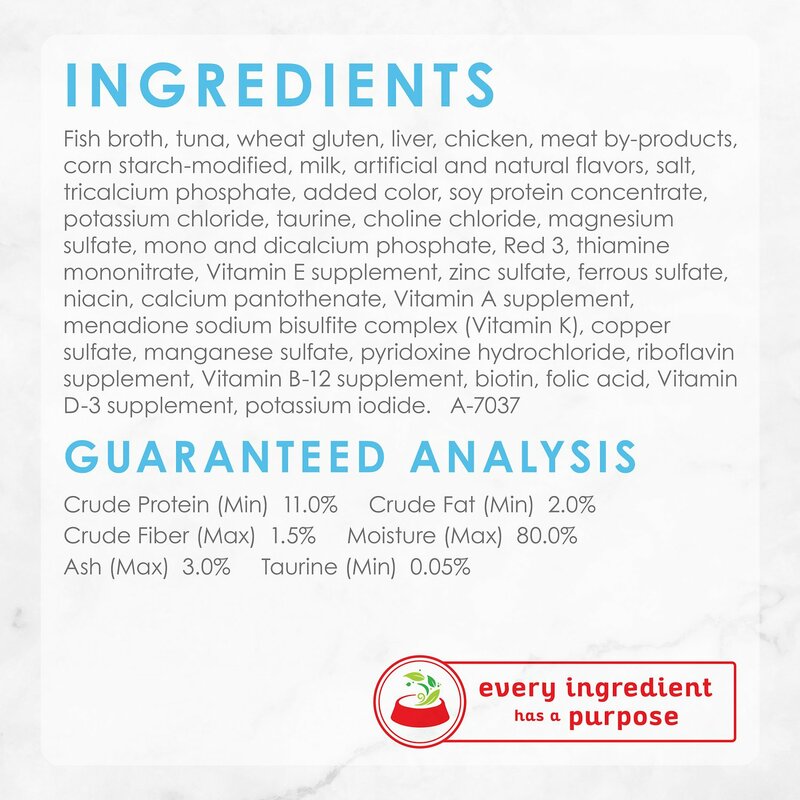 Fish Broth, Tuna, Wheat Gluten, Liver, Chicken, Meat By-Products, Corn Starch-Modified, Milk, Artificial and Natural Flavors, Salt, Tricalcium Phosphate, Added Color, Soy Protein Concentrate, Potassium Chloride, Taurine, Choline Chloride, Magnesium Sulfate, Mono and Dicalcium Phosphate, Red 3, Thiamine Mononitrate, Vitamin E Supplement, Zinc Sulfate, Ferrous Sulfate, Niacin, Calcium Pantothenate, Vitamin A Supplement, Menadione Sodium Bisulfite Complex (Vitamin K), Copper Sulfate, Manganese Sulfate, Pyridoxine Hydrochloride, Riboflavin Supplement, Vitamin B-12 Supplement, Biotin, Folic Acid, Vitamin D-3 Supplement, Potassium Iodide. A-7037. Well, that's what my cats tell me! They usually prefer pate style food, but they can't resist these bits in that fabulous, creamy sauce. Love watching them licking their lips when they finish eating it. I give this to them as a "treat" - split the can into 3 separate plates so they can each chow down in their heavenly cat pleasure. My 18 year old kitty LOVES the new creamy Tuna & Chicken. I inherited “Patches” when my Mother died 8 years ago. She’s had nearly all her teeth pulled due to gum issues so this product is ideal for her! This was in a variety pack I purchased. My cats always gobbled it up faster than the others so I thought I would try a case. The haven’t turn their nose up once and seem to still approve! Dom is 14, has 5 teeth, considers himself a gourmet. Not easily found in cat food aisles, Chewy has and delivers his favorite flavors in canned cat foods. He does well on Fancy Feast milk added cat food. He loves the gravy/cream more than the shreds/chunks, so he tends to waste more of this type of textured food (otherwise, I would have given it a 5). He's a picky Old Man Kitty! 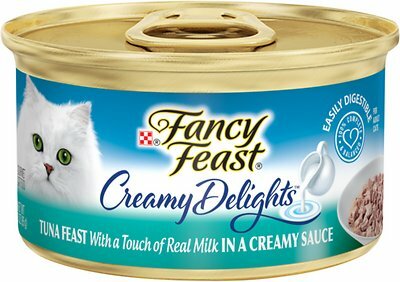 My two kittens/cats love, love Fancy Feast Creamy Delight Tuna Feast in a Creamy Sauce can food. I have tried others and my cats walk away. They come running when I open the can, everything is finished when I put it in the dish. My three cats are crazy for the creamy delights! My PetSmart was sold out – thank you chewy! !